The region’s leaders are closely watching Brazil’s next president-elect, with his arrival in office likely to kick off a period of change in foreign policy, trade, policing and even in how political campaigns are waged, analysts say. Brazil’s Latin American neighbours are bracing for a regional “Bolsonaro effect” after the far-right leader’s crushing victory in presidential elections. The knock-on effect will be felt across the region in foreign policy, trade, policing and even in how political campaigns are waged, analysts said. Jair Bolsonaro’s win perpetuates electoral routs for rightwing presidents against leftist governments hostile to the United States, said Argentine commentator Pablo Semán, a professor in social anthropology at the San Martín University – citing recent victories for President Mauricio Macri, Sebastián Piñera in Chile and Mario Abdo Benítez in Paraguay. “The US is taking possession of what has been lost in Latin America, in a context of global struggle with China for natural resources, markets, political support. There is no place in Latin America where Washington has not regained the position it lost” in the 2000s, Semán added. With President Donald Trump in the White House, “strongmen have the edge” in US foreign policy, said US analyst Michael Shifter. Bolsonaro’s triumph however raises fears of a return to authoritarian rule in a region which has suffered under a string of military dictatorships. The shift will be stark, according to Mark Weisbrot of the Center for Economic and Policy Research in Washington. “This is a guy who said the Brazilian dictatorship didn’t kill enough people, that they need to kill another 30,000 people, that the police should be able to kill suspects, that the left will have a choice of going to jail or leaving the country. “Will he do these things? I think he will implement as many of these threats as he can get away with,” said Weisbrot. However, “the shift toward authoritarian rule may not be as extreme as many fear,” according to Shifter, head of the Inter-American Dialogue think tank – because traditional parties in Congress could yet provide checks and balances. Ivan Briscoe, Latin America director of the International Crisis Group, said the exsoldier’s rise is part of a gradual “winnowing of democracy” in the region, the most notable examples being Venezuela and Nicaragua. 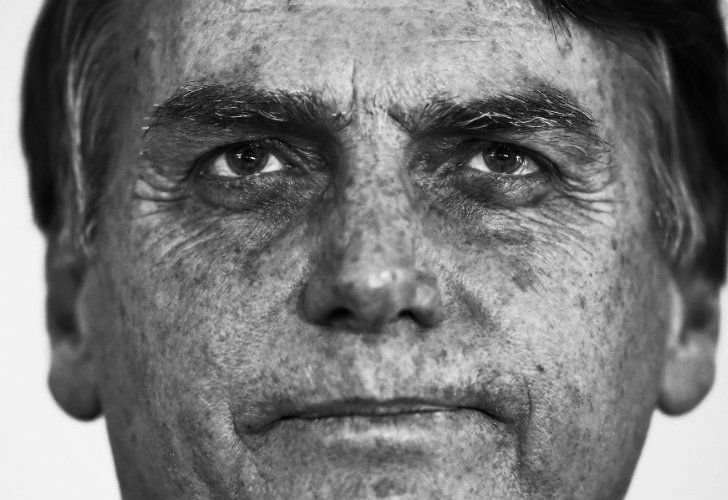 Bolsonaro wielding power in the volatile social context of Brazil is alarming. Bolsonaro has much in common with Mexico’s presidentelect Andrés Manuel López Obrador, said Briscoe. Beijing is set to build on its aggressive strategy in the region in recent years, analysts agree, with a style that appeals to Latin American leaders. “It provides much more direct investment, loans, and aid to developing countries than the US does, and has a policy of non-interference in the internal affairs of the recipients,” Weisbrot pointed out. Regardless of his China trade policy, it’s an anxious moment for the struggling regional Mercosur bloc – Brazil, Argentina, Uruguay and Paraguay. “If Bolsonaro follows through on his idea of allowing members to pursue bilateral trade agreements, and not as a bloc, that would be a big blow,” noted Shifter. That means Bolsonaro supporting “right-wing and fascist movements everywhere, and also [being] a strong supporter of the Trump administration’s foreign policy, which seeks to get rid of the remaining left governments,” said Weisbrot. The worst-case scenario is that he could become the region’s answer to the Philippine President Rodrigo Duterte, whose war on drugs has been credited with killing some 20,000 people since July 2016.